Sunday’s big upset saw Ernests Gulbis finally produce his best tennis at a Grand Slam as he ousted Roger Federer in five sets, 6-7(5) 7-6(3) 6-2 4-6 6-3. You can read my full recap of that match HERE. It was the first time since 2008 that Gulbis has made the last eight of a Grand Slam which also happened to be at Roland Garros. This year, the world number 17 has enjoyed a really consistent year. Sunday’s victory validates the improvements he has made, which are starting to make him appear as a legitimate threat on the ATP tour. 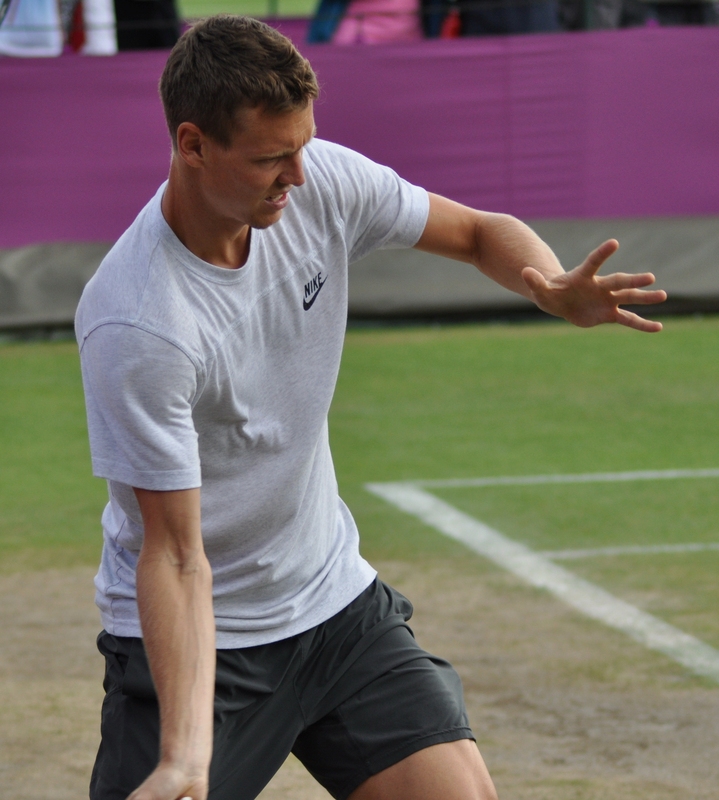 Next up is Tomas Berdych, who had a very straightforward win over John Isner, 6-4 6-4 6-4.
Who would of thought that Milos Raonic‘s first Grand Slam quarter-final would be at the French Open on CLAY. The improvement in Raonic’s game has been pretty rapid this year. After pushing Novak Djokovic to three sets in a gripping Rome semi-final, the Canadian world number 9 gets another shot at the Serb. 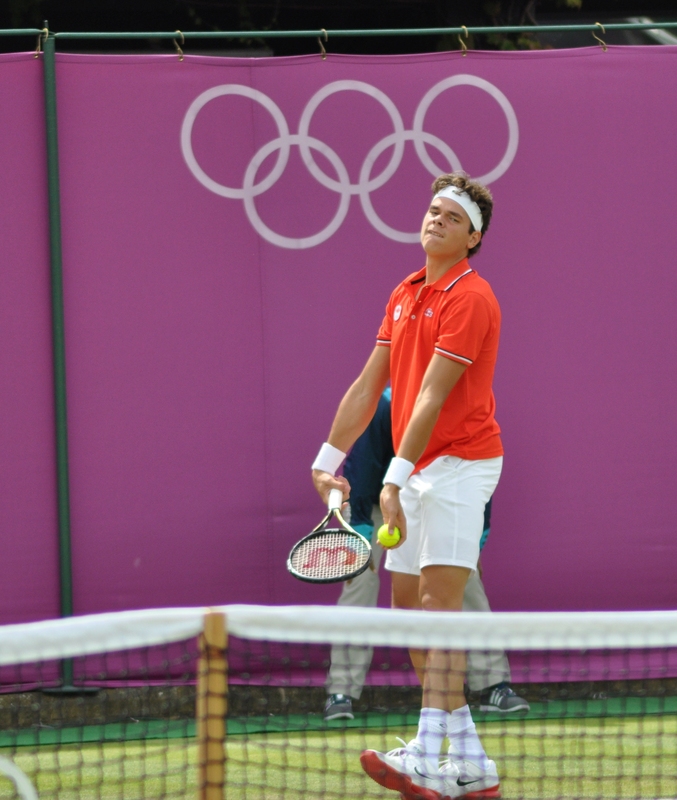 Raonic was teetering on the edge in the third round when he went down two sets to one to Gilles Simon. The way he turned that match around was mightily impressive. His game looks so much stronger than a year ago. The variety he has added to it has made him a much more versatile player and someone who can cope much better in tight situations. In the fourth round, he swept past the lucky, Marcel Granollers, 6-3 6-3 6-3. Djokovic also cruised through his last 16 match with a dominant 6-1 6-4 6-1 victory over Jo-Wilfried Tsonga. I am praying we don’t see this match-up again for the whole year. This could arguably be Djokovic’s toughest match en route to the final. Raonic is due a big win and the way he has been playing and how this tournament has been unfolding, could it happen? This should be a sensational quarter-final. I’m backing Djokovic, but I think Milos is going to continue to shine. June 2, 2014 in ATP, Berdych, Djokovic, Gulbis, Raonic, Roland Garros. Novak to win easily, Raonic put up a good fight in Rome but this will be the grand slam Djokovic, he’s in a different class.